If you haven't noticed yet, fruit-themed fashion and accessories are one of the hottest summer trends! I don't know about you, but whenever I travel, I am always looking for a way to gently pack my jewelry. The Monogrammed Pineapple Jewelry Pouch is the perfect solution! 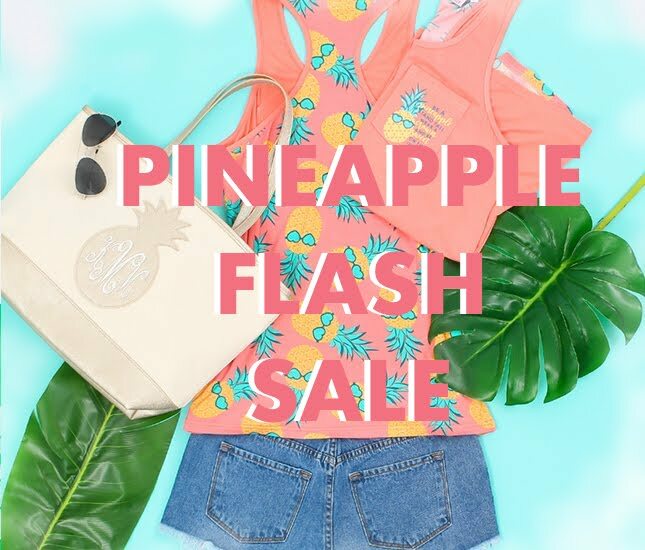 Not only does it have a pineapple shape and pattern, it's also durable and will cushion all your jewelry favorites like the Monogrammed Pineapple Necklace. This stunning gold piece brings the perfect dash of cuteness to any outfit, casual or dressy. Is it a beach bag, is it a purse? It's both! Don't worry about switching from bag to bag this summer because this tote is here to save you time and space! Its durable fabric makes it reliable to take on your errand runs, while also easily dusting off sand after a day on the beach. Does it get any better?! If you aren't feeling the bright yellow pineapples, no worries. These more subtle pieces are sure to make your summer just as happy! Never worry about running out of room for all of your beauty products again! How cute is this cosmetic bag? As if the pattern play already takes the cake, it's also expandable! Toss it in your purse by zipping it into a smaller cosmetic bag. Or pack all of your toiletries and more by unzipping, and expanding into the cosmetic bag or your dreams! When I'm shopping for bathing suits, one of my highest priorities is comfort! With the Monogrammed High Neck Bikini Top, you not only feel trendy in your pineapple print but also supported and comfortable all day long. Sunbathe, swim, and play beach volleyball without worrying about adjusting your suit. How are you planning on making your summer fun? Let us know in the comments!